LQL is a third generation family owned business. Started by Tommy (Thomas) Lennon in 19 where he quarried limestone. 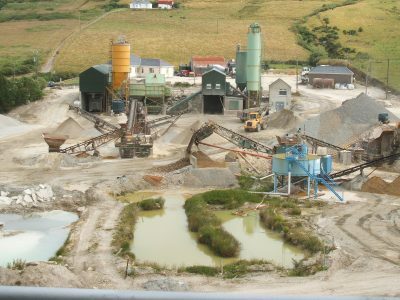 The remains of the old limestore and kiln are still present across the road from the current quarry. His son T.J. took over the management of the quarry and expanded into concrete and became a leading supplier of a wide variety of stone products. The operation of the plant is maintained by Tommy’s other son David. Continuing in the family business are two of T.J.’s sons, T.J. jr and Dermot. T.J. oversees transport management and is known as a man that can drive anything anywhere. Dermot expanded the business further into concrete products such as kerbing, various pavement products and fence posts whilst also overseeing quality control.